QUEENS were defeated 3-1 at the hands of Inverness in a disappointing afternoon at the Highlands. First half strikes from Iain Vigurs and Joe Chalmers gave the hosts a two goal advantage at the break. Aaron Doran scored to put the contest out of sight before substitute Owen Bell nodded home a consolation for Gary Naysmith`s men. Queens made one change to the side that beat Livingston 1-0 last weekend. 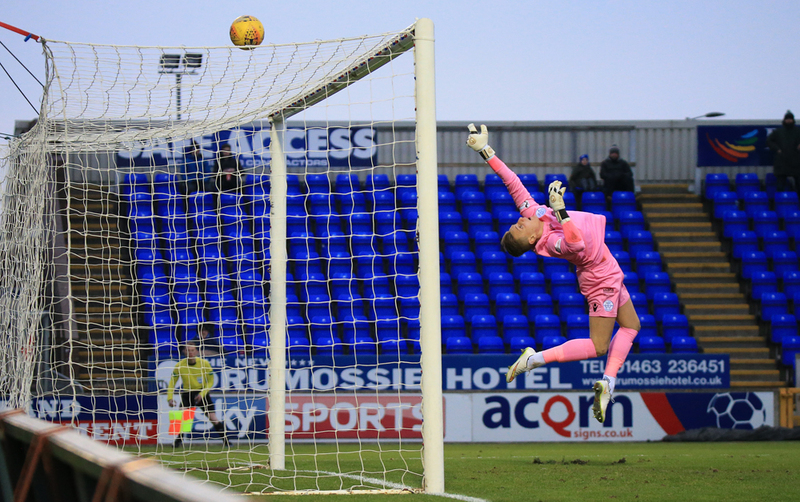 Young goalkeeper Jack Leighfield made his second league appearance for the Doonhamers as Alan Martin dropped to the bench due to injury. On-loan signing Myles Beerman was on a young looking substitutes bench. Queens fans all over the country were boosted after news filtered out about Stephen Dobbie signing a contract extension. The previous two meetings with Inverness were both goalless so surely lightening couldn?t strike for the third match. The hosts didn?t waste anytime to threaten the Queens goal. Captain Gary Warren saw his header from 6 yards superbly tipped over the bar by Leighfield. However from the resulting corner John Robertson?s men broke the deadlock. As the set piece was delivered it appeared Shaun Rooney was pushed but the referee didn?t blow the whistle and Iain Vigurs nodded in the opener. Inverness could?ve made it two when the enegertic forward Connor Bell turned inside the box and hit a low effort but it trickled wide of the post. Bell was at it again but his attempt this time was saved by Leighfield?s legs and out for a corner. The hosts continued to pressure the Queens goal and nearly went two ahead when Warren?s attempted cross was assisted by the hind and nearly dropped into the net. Thankfully Leighfield had it covered. The young goalkeeper kept Queens in it once more as he pulled off a brilliant save to deny the hosts. 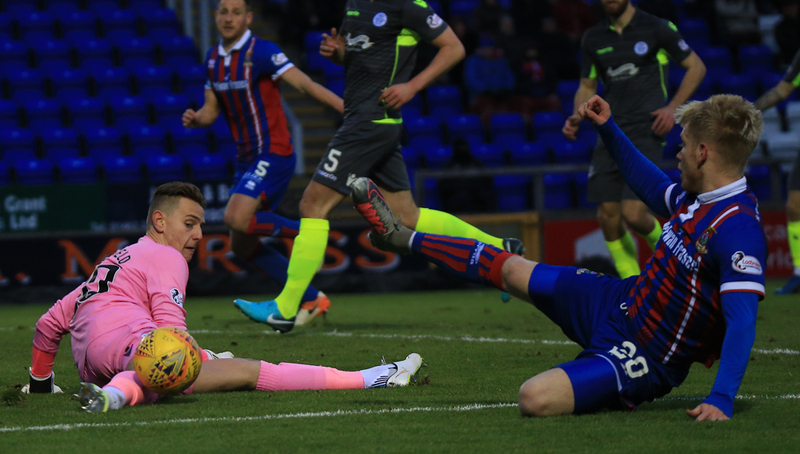 Finally Queens threatened the Caley goalkeeper when Rooney played through Dobbie. The striker was only four yards out but his shot flew wide of the target, proving he is human after all. Caley were on attack once again with Liam Polworth and saw his low shot saved by Leighfield. A superb save. The youngster was beaten on the half hour mark when a corner found Joe Chalmers on the edge of the box and his effort seemed to take a deflection on the way and evaded Leighfield and into the bottom corner of the net. The visitors had the first chance of the second half to claw one back when Chris Kane nodded the ball to Dobbie on the half way line. The striker played through Connor Murray and he returned the favour to Dobbs but his curled shot was too close to RIdgers and made a comfortable save. 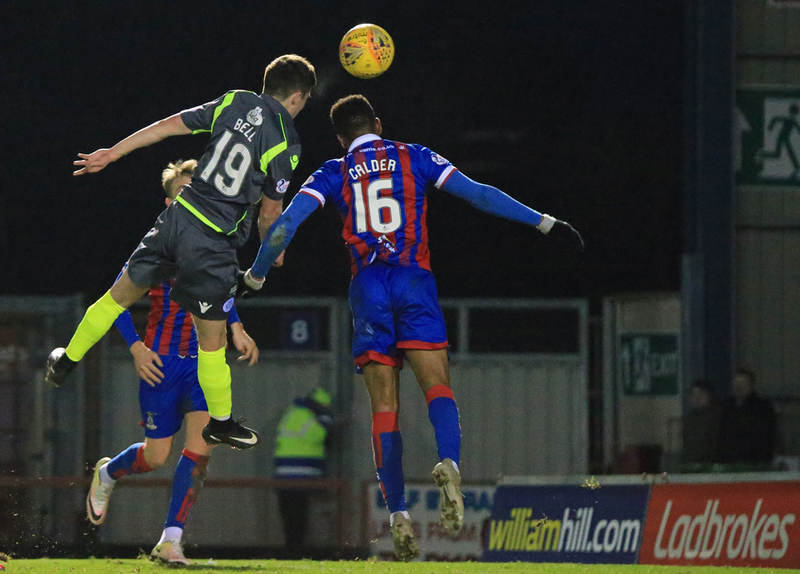 It was Dobbie again who came close to halving the deficit when he robbed the Caley defender of the ball on the edge of the box but his fierce strike hit the side netting. Despite the visitors looking more likely to grab the next goal Robertson`s men put the contest to bed on 59 minutes when Aaron Doran fired a low shot into the net despite Leighfield`s best efforts. 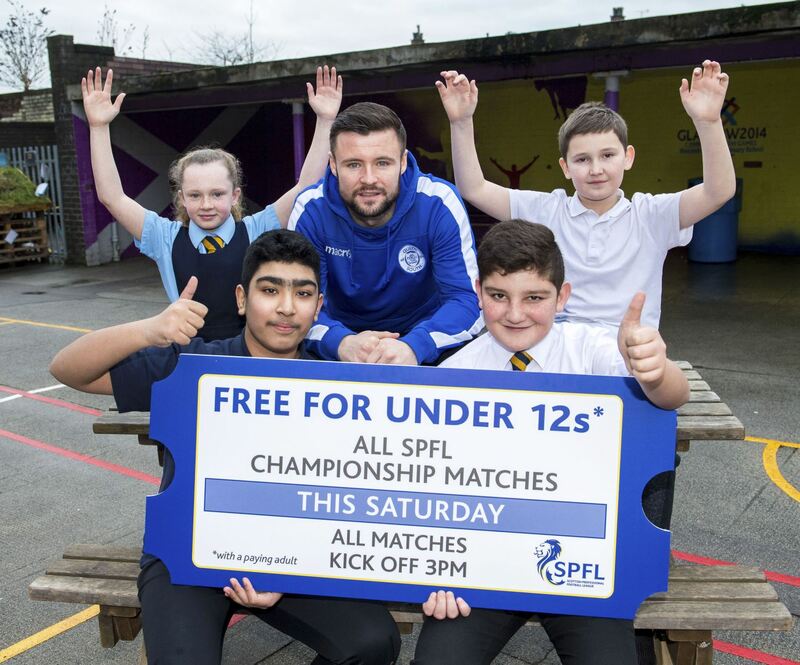 At this point it was damaged limitation for the Doonhamers and brought on Ross Fergusson, Owen Bell and Myles Beerman. Queens got a consolation goal on 86 minutes when Bell headed in a cross to give the vocal Doonhamers some hope. 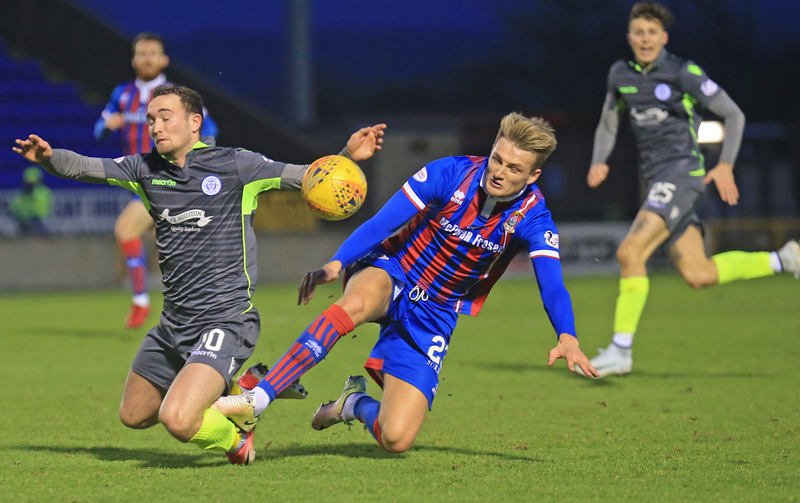 Today`s game was the last for on-loan pair Jason Kerr and Chris Kane who return to parent club St Johnstone. 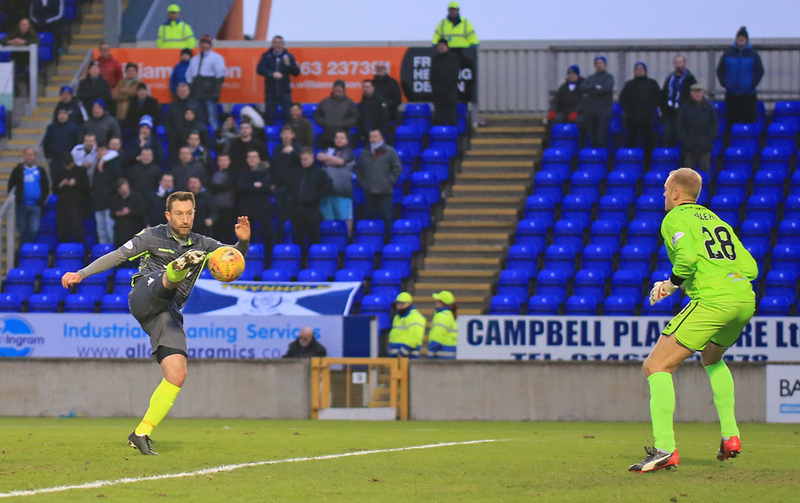 Despite a disappointing afternoon on the field news that Stephen Dobbie has signed a contract extension. 8 min Brownlie fouls Oakley just outside the box. 21 min Mackay booked for a clumsy challenge on Dykes. 30 min Chalmers strikes from the edge of the box into the bottom corner. 41 min Dykes booked for a late challenge. 52 min Good work from Kane and Murray sets up Dobbie, who takes a touch past the defender but his curled effort saved by Ridgers. 59 min Doran fires in Caley`s third of the afternoon. 62 min Kane`s shot is deflected out for a corner. 76 min Donaldson booked for a challenge on Rooney. 86 min Bell heads in to close the gap. Surely not??? 87 min Oakley misses from close range. 90+1 min Fergusson fires wide here.